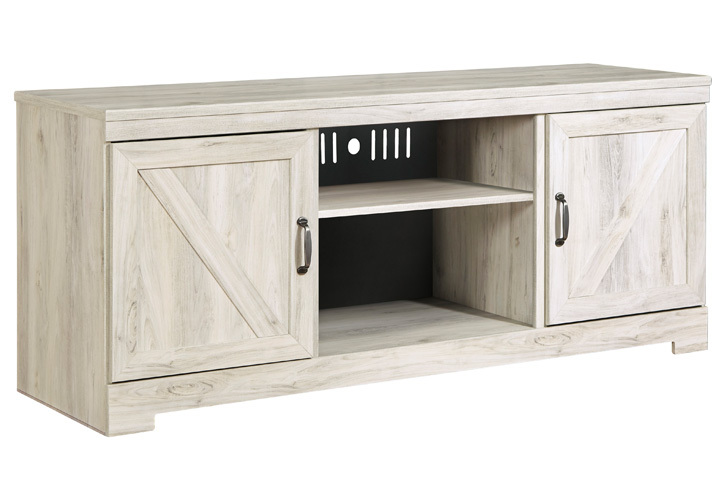 Wispy white finish over replicated Oak grain with authentic touch. Handles in a brushed nickel colored finish with black hang up. 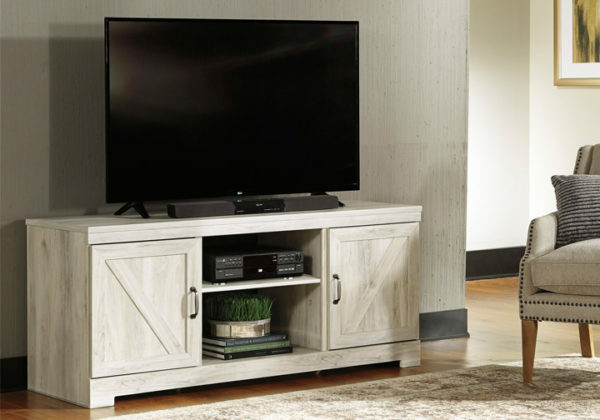 The W331-68 is compatible with the W100-01,02 LED fireplace insert. Entertainment piers feature open glass shelving for display with display light and doors for storage. Doors on the entertainment piers and TV stand have adjustable shelves. TV stand features crossbuck details on the doors.